Inspired by the Spring season. This cocktail has a very clean taste. 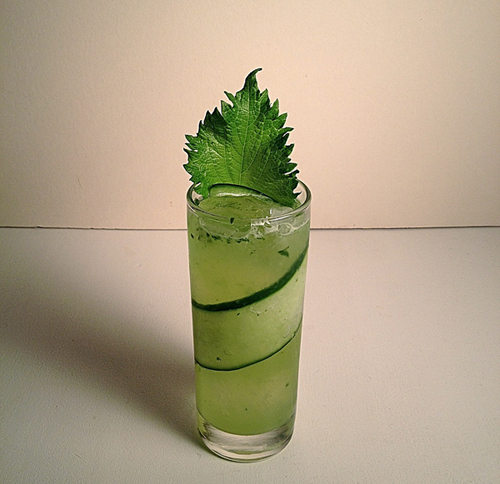 The base is Gin with the distinct flavor of Shiso paired with the coolness of cucumber and fresh lemon juice. Line glass with cucumber strip. Then muddle Cucumber and Shiso in a pint glass. Then combine all other ingredients, add 5 ice cubes and shake well. Strain all ingredients over new ice. Finally add Shiso Leaf.